Delivery options developed with both the patient and clinical staff in mind. MyCareboard offers the latest in cutting-edge software to enhance patient and employee engagement. Our technology creates better workflows for the hospital and allows clinical teams to focus on delivering the best care for each patient. This technology creates better workflows for the hospital and allows clinical teams to focus on delivering the best patient care. Devices to fit your needs. MyCareboard is available in multiple languages, and Lincor handles the installation of the infrastructure, so your IT department can focus on other initiatives. Replace your outdated dry erase whiteboard with a full digital display in every patient room. 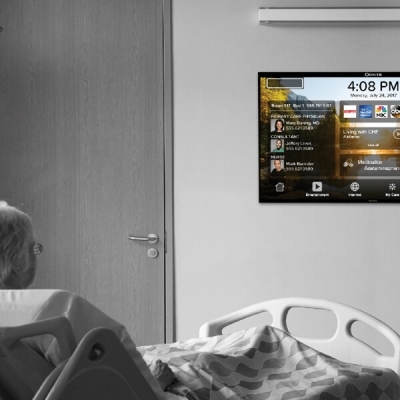 In areas where space is limited, we can also utilize the in-room patient TV if necessary. 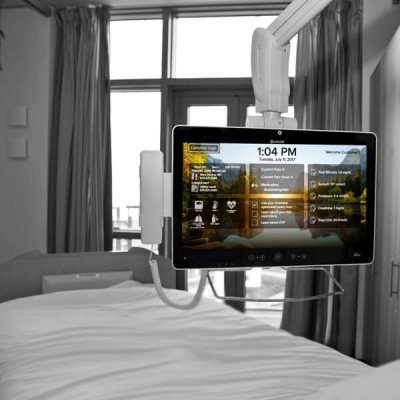 The touch screen bedside monitor comes complete with swinging arm and provides clinicians and patients an easy way to navigate MyCareboard. Familiar devices & familiar faces. A Mobile tablet gives the patient, family, and friends the freedom to move around while enjoying Lincor’s software. My name is , and I work at . I am interested in . Please email me at or call me at .